The Market @ Arts WAREHOUSE is located in the front lobby area just inside the main entrance of the Arts Warehouse located at 313 NE 3rd Street, Delray Beach, FL 33444. Our hours coincide with the AW’s regular business hours: Mon-­‐ 9am-­‐5pm, Tues- Friday 9am-­‐6pm, Saturday 10am-­‐3pm, and closed on Sundays. Will be open during special events. Our Shop features affordable, original, handmade fine art and craft. Our focus is on one-­‐of-­‐a-­‐kind, or very limited production work. No kit work will be accepted. If you would like your work to be considered for our Shop, please complete and submit this Application (with images of your work). If your work is accepted, we will schedule an appointment with you. Established and emerging artists are encouraged to apply! Creative Makers are very encouraged to apply! Once your work is accepted, you will be asked to fill out vendor paperwork including a contract and to complete a Consignment Inventory Sheet. The Arts Warehouse will assign you an artist code that is unique to you. This code should be used on the Inventory Sheet as well as on your price tags. Artists are responsible for their own price tags, which must include the Artist Code Assigned to you and item number (artist assigns) along with the price. Example: APH-­‐01 $18. Offering a range of price points works best. It is the artist’s responsibility to complete the Inventory Sheet and deliver it when work is dropped offed or via via online submission. The Arts Warehouse is not responsible for work not accompanied by the proper forms. Similar items may be assigned the same item number, but each item must be listed on a separate line. Please provide us with images and a written description of your work. We will use this in our promotional materials and signage. Tell us about specialized techniques you use and what you want us to know about you as an artist. We will also make it available to our staff so they can be familiar with your products. We would also like to have a supply of your artist/business cards that we can hand out with your sold products. The Market is a consignment gift shop. Artists receive 70% of the retail price and the Arts Warehouse retains 30% for staffing, operations, marketing, etc.. Artist are responsible for all taxes of sales. Payment for work sold is issued monthly. Checks will be issued during the first pay period of each month and will reflect sales from the month prior. Due to limited space, the Arts Warehouse reserves the right to determine the quantity of items that you may consign at our shop as well as the amount of back stock that can be stored. The staff of the Arts Warehouse handles all displays and merchandising. Artists are responsible for replenishing work that has sold and/or replacing work that has not, every 90 days or as requested by Arts Warehouse. Seasonal work must be picked up in a timely manner. Arrangements will be made with Arts Warehouse Staff if needed. Artists are responsible to pick up unsold merchandise and for any and all shipping charges for returned work. The Arts Warehouse reserves the right to remove and store work that is past due for rotation or has not sold well. Reasonable care will always be taken to prevent theft or damage to artwork. However, the Arts Warehouse is not responsible for payment to artists due to theft/damage. Artist assumes risk when selling work at the Arts Warehouse; we suggest artists insure any items they wish to have covered. Selected Artist will also have a web presence and promotion via our outlets. Remember this shop is juried and will be carefully curated to create a one-of-a-kind shop. Make sure to hit SUBMIT once you complete this form with 5 to 8 images representative of your work. We will review your submission. If your work is accepted, you will be contacted. 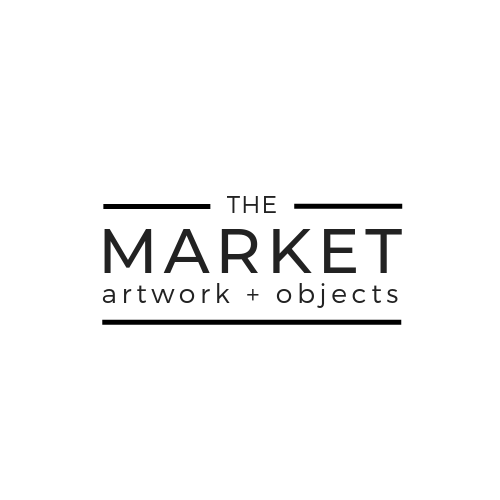 *The Market @Arts Warehouse is a consignment gift shop. Artists receive 70% of the retail price, and the Arts Warehouse retains 30% for staffing, operations, marketing, etc. When you are establishing retail prices, please keep this in mind. For more information regarding policies and procedures, please see the Guidelines at the top of this form.